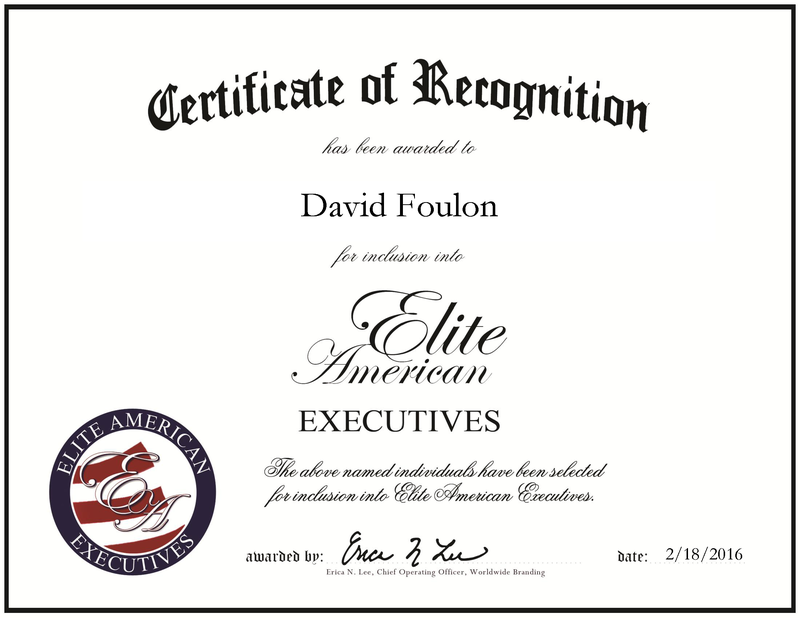 Houston, TX, February 18, 2016, David Foulon, Vice President Subsurface at Total, has been recognized by Elite American Executives, for dedication, achievement and leadership in technical management and development. Leading technical evaluations and asset development, Mr. Foulon is a key figure to the success of Total as the vice president subsurface. He has been with Total since 2013 as the United States director of subsurface developments, and was promoted to his current position in June 2015. His ability to foster efficient teamwork has been a driving force in the success of his career. Mr. Foulon bears responsibility for raising asset production, restructuring organizations and leading D&A operations. His leadership extends to cover reservoir management as well as gas and offshore drilling. Mr. Foulon prepared for a career in energy by attending École Nationale Supérieure des Mines de Nancy and earning a Master of Engineering. He continued at Chalmers University of Technology to receive a Master of Science in environmental techniques, and he also holds a master’s degree in petroleum engineering from IFP School. He is a member of the Houston Geological Society and the Society of Petroleum Engineering. Currently, Mr. Foulon is pursuing an executive MBA and looking into more opportunities in the business side of energy. This entry was posted in Energy, Engineering, Management Consulting and tagged asset management, development, engineering, management, technical. Bookmark the permalink.